LETBOND® threadlocker is a special preapplied film for threaded fasteners. It remains inert on the fastener until assembly of the threads release quick curing resin. The resin fills all the voids in the threads and cures to securely lock and seal the assembly. Dri-loc threadlocker prevents loosening through vibration to provide locking and sealing of threaded assemblies. 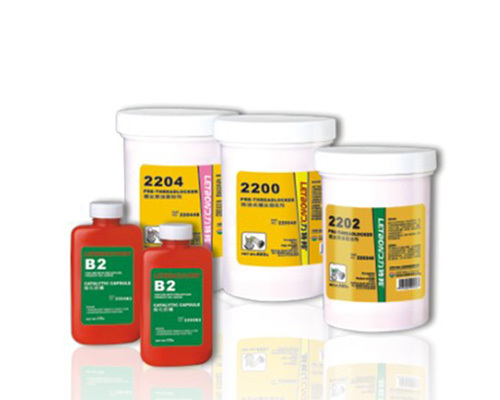 Quantities can be handled promptly with minimum turnaround time. Be good for thread corrosion resistance. Easy to assemble, save working procedure and time. Can be stored for above 2 years.